I have never been far from the roar of a furnace growing up with two parents running a glass business. My sense of making comes from my family, from my mentors, and from the integrity of material. Craft has been in my family’s blood going back to my great grandfather who was a fresco painter. My father Jack Schmidt is a sculptor who helped pioneer the use of glass as an artistic medium in the mid 1960s. 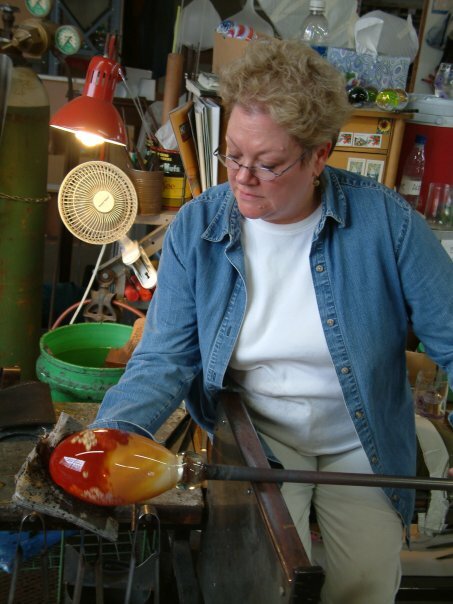 My mother Shawn Messenger is a glass artist who has owned and operated a glass studio in Toledo, Ohio sense 1985. I grew up with a family that made things and fixed things, below is a series of photographs showing my family history with glass. Ian's Messenger , this piece was made after my birth.